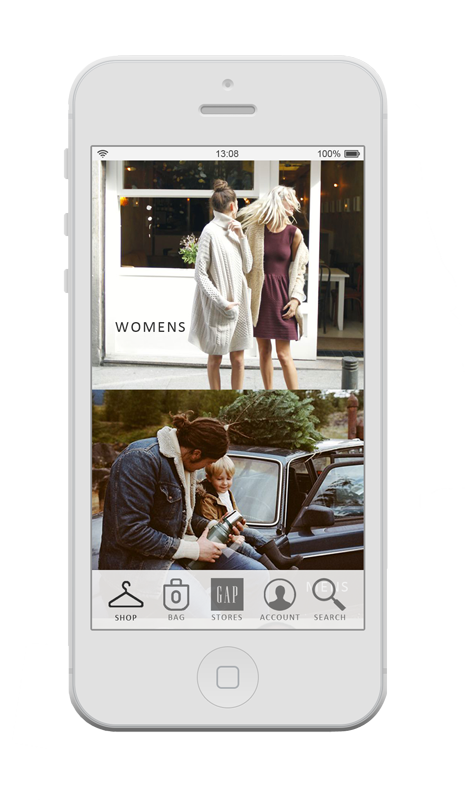 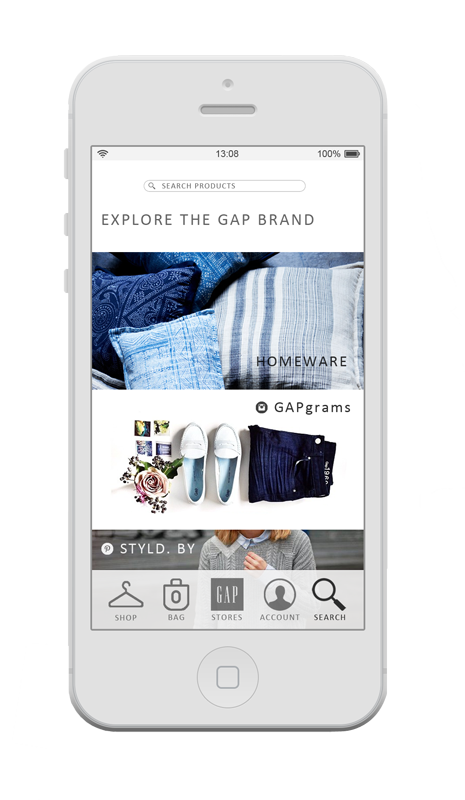 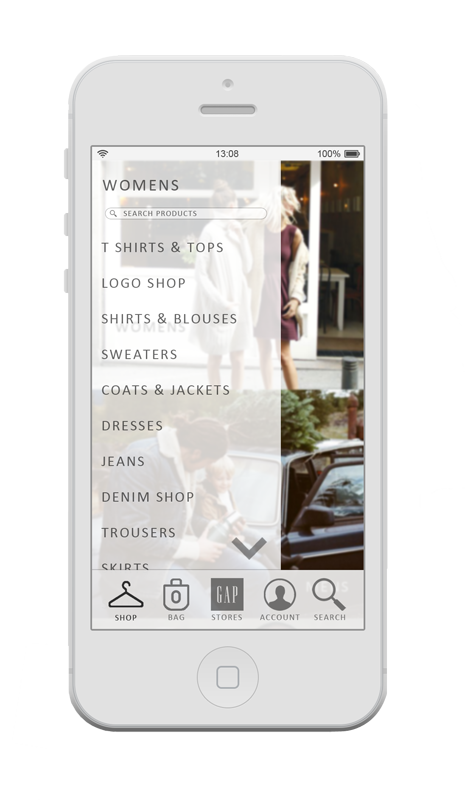 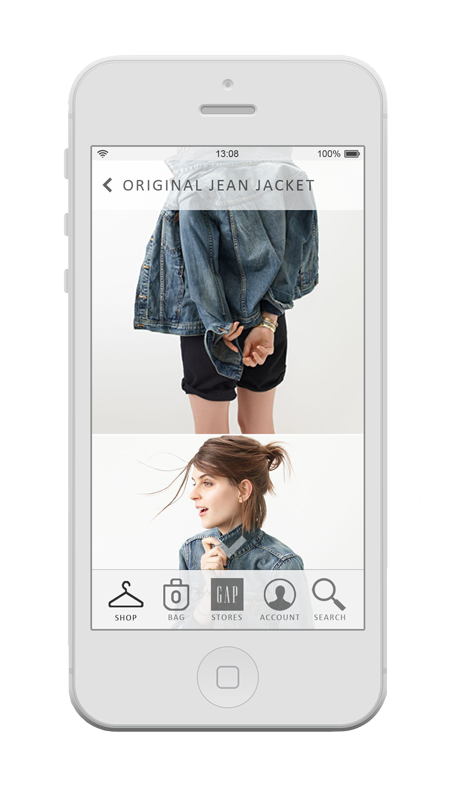 The clothing retail company ‘GAP’ currently has no mobile app presence. 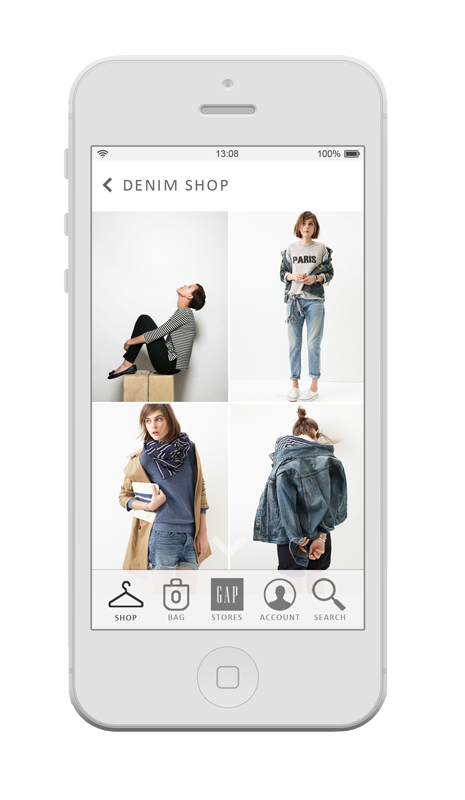 The project aimed to design a user friendly graphical interface that could enable shoppers to locate the latest products and trends via mobile means. 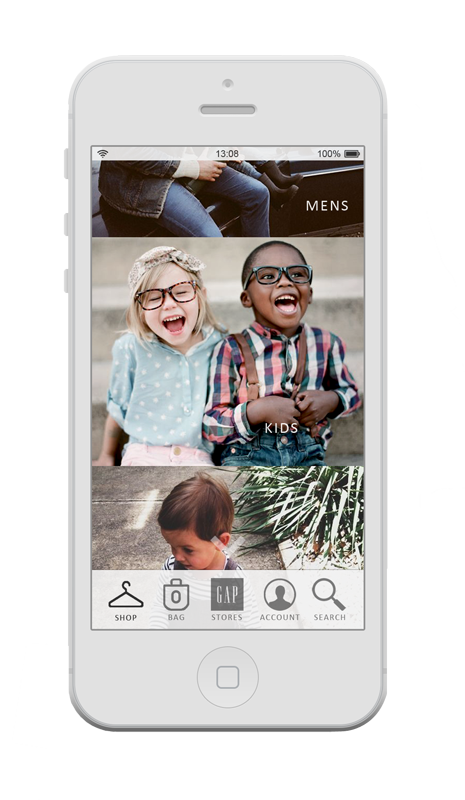 The app had to keep up visually with the newest iOS and so image content, instead of text, was used to draw users to particular pages. 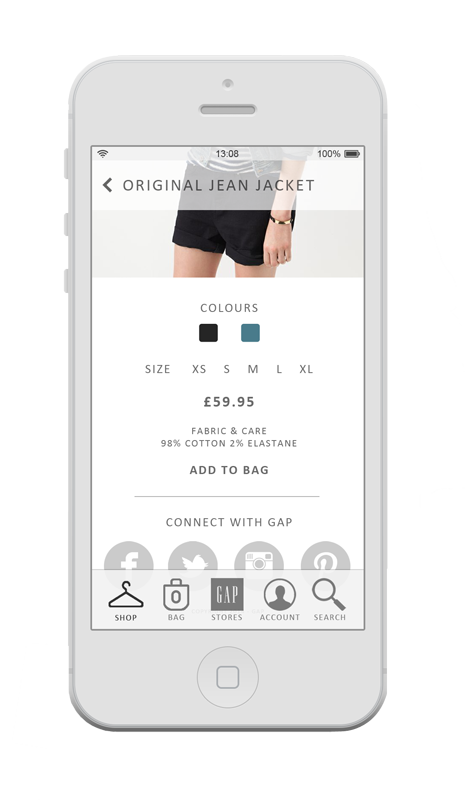 Each page had to be carefully designed to ensure the user wouldn’t be overwhelmed with information. 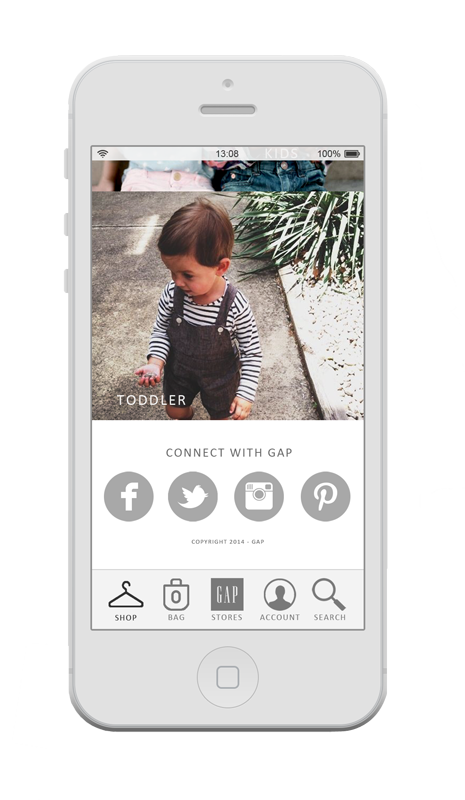 Design by Ross Whittle & Holly Whittle. 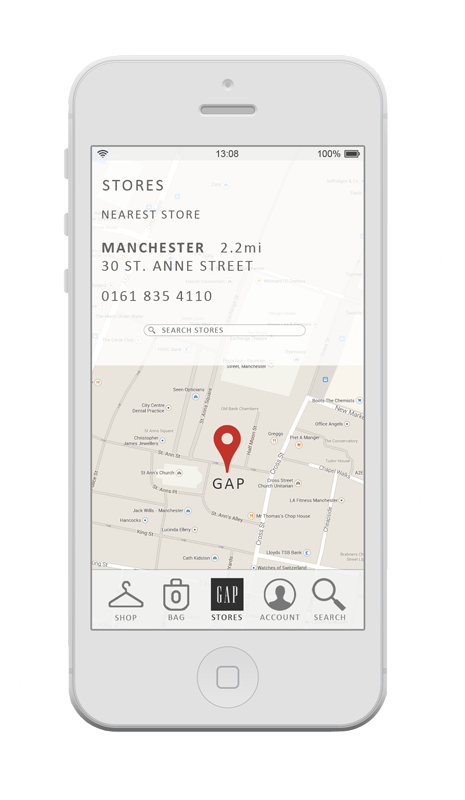 The project was self set for the University of Manchester, winner of the ‘Best Fashion Strategy Project 2014’. 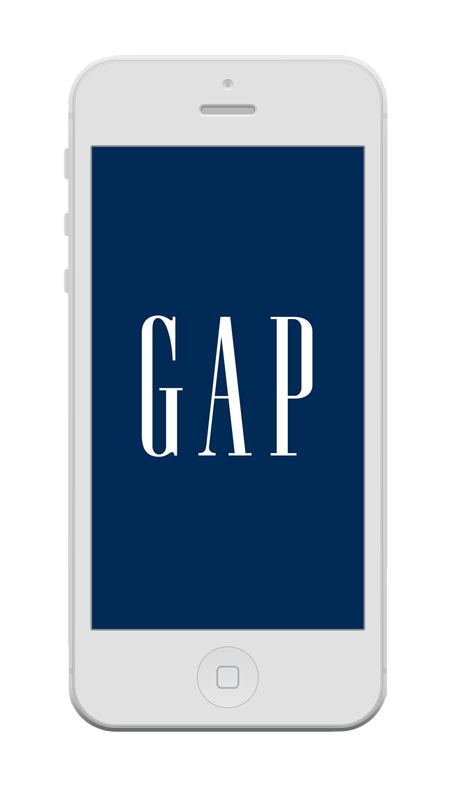 John Jeffreys, head merchandiser for GAP UK, was invited to the final showing and showed a keen interest in the project.